Mahón – or Maó, as it is known locally – is Menorca’s compact and picturesque capital city. Set around the second biggest natural harbour in the world, there are beautiful views aplenty, and the eclectic architecture reflects the island’s various occupations. While small enough to easily cover on foot, there’s plenty to see, do, and explore in and around this historic city. Read on for a selection of the best. Mahón’s huge natural harbour is best appreciated from the sea, where you can take in the small islands, fortifications, and the colourful colonial architecture around the port. As well as the chance to view the sights from the boat, a guide will talk you through the history of Mahón and point out important buildings. Tours like Yellow Catamarans have glass bottomed boats so on clear days you also get the chance to see some underwater life. 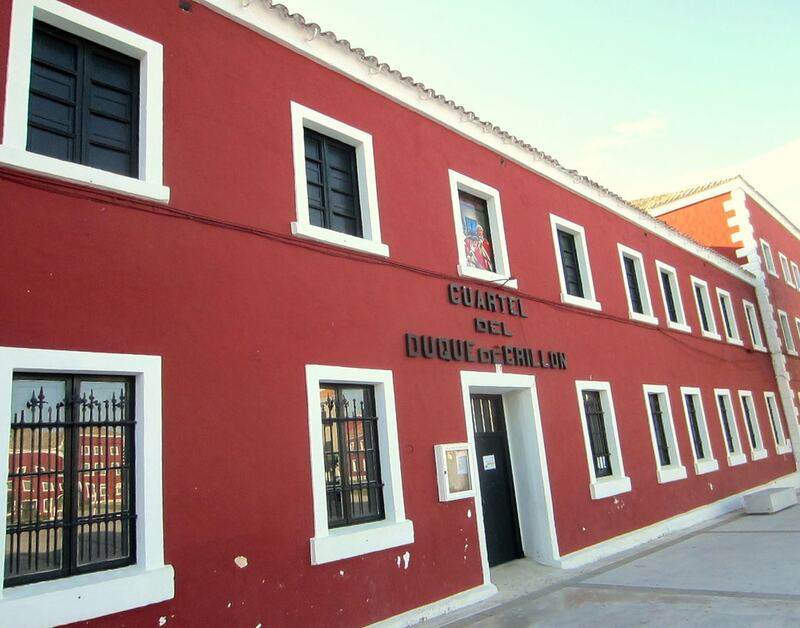 Tucked away in the quaint cobbled streets is the Museum of Menorca. Set in a 17th-century monastery, there are several floors of exhibits charting the history of the island from its ancient beginnings to modern-day industries. This place gives a fascinating insight into Talayotic culture on Menorca, and there are also beautifully preserved cloisters to walk around. Mahón claims to be the true birth place of mayonnaise (salsa mahonesa) and with fantastic seafood, extremely drinkable gin, and many variations of the local cheese, food and drink are key elements to any trip to this city. Close to the Plaça Espanya is the pretty 18th-century Carme church – the largest in the capital. Its Baroque-era cloister is now also a market (Mercado del Claustro del Cármen) selling a variety of Menorcan products and specialities, and is well worth a browse. Do also take the time to look around the church itself. Right next door is the city’s fish market (Mercat del Peix) – only open in the mornings, this bustling market is a fascinating place to walk through, with stalls piled high with local prawns and lobsters. On one side of the market there are stalls selling drinks and snacks, with a small courtyard in which to sit and enjoy some tapas and a cold beer. With its rich history, important harbour, and multiple occupations, Mahón plays host to many fine examples of military architecture, and La Mola – the Fort of Isobel II – is just one. You can arrive there by water taxi (for the full military invasion experience) and be sure to rent an audio guide to get the most out of your visit. There are fabulous views from this 19th-century fort, so make sure you give yourself enough time (we recommend around five hours) to soak it all up. Menorca has a long history of shoe-making, and the island’s famous sandals – known as Menorquinas or Avarcas – are now deemed a must-have fashion accessory. Originally a peasant shoe designed to keep feet cool and comfortable when working in the fields, the sandals have been worn faithfully for decades by locals of all ages, but in recent years have grown increasingly popular throughout the world. Wander the streets of Mahón and you will stumble across many shops selling Avarcas in every colour you can imagine, as well as handmade espadrilles in shops such as Boba’s, and stunning artisan leather shoes at Homers. Huge international brand and celebrity favourite Pretty Ballerinas is also Menorcan, and has a shop in the harbour area. Gin was a popular drink in 18th-century Britain, and during the British occupation of Menorca, the thousands of soldiers stationed on the island missed their local tipple, which was not available anywhere on the island. Savvy locals decided to import juniper berries and distill gin using alcohol from local vineyards and in time a gin distillery was built. Today, Xoriguer Gin in its distinctive bottles is one of the island’s most famous exports, and a trip to the distillery means you can see the original copper stills and sample and buy the gin itself. Throughout Menorca you will find plenty of places in which to sample pomada, the island’s own take on gin and tonic – Xoriguer gin served with lots of ice and cloudy lemonade. When lunchtime hits, there are many cafes and restaurants dotted around the port with waterfront views and great food. If you like seafood, you’d be foolish not to take the opportunity to try Menorca’s famous lobster stew, and restaurants such as Jàgaro and S’Espigó specialising in local seafood dishes. Both have terraces overlooking the water and are very popular in high season so best to book in advance. Departing from Plaça de s’Esplanada, this little red land train loops around Mahón, taking in many of the main sights (certainly not all) and lasting for the best part of an hour. Great for children or those with walking difficulties, this train tour gives you a good overview of the city so that you can then go on and explore more thoroughly on foot. Tickets are only a few Euros and allow you to hop on and off at key points. The Teatro Principal de Mahón was opened in 1829 and is one of the oldest opera houses in Spain. If you don’t fancy actually attending a performance in this beautiful theatre, but would like a sneak peak at the stunning interiors, you can take a tour of the building in the mornings. Housed in an 18th-century barracks, this military museum details the island’s military history, including the various occupations and the effects they had on Menorca’s culture. There are also exhibitions of ancient cannons, guns and other weaponry, and information about forts and other strategic sites on the island. Cheap to get into, it is worth a visit if you have an interest in military history.